Lancôme Ambassadress Lupita Nyong’o looked gorgeous in a purple-hued lid at the 2015 Golden Globe Awards. 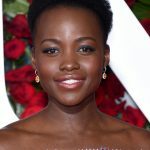 Artist Nick Barose complimented the actress’ floral, flowing gown with glowing skin and a vibrant eye courtesy of the new Bright Eyes Color Design 5-Pan Eyeshadow Palette in Jacaranda Bloom, a palette created by Lancôme in collaboration with Lupita and Nick. Here, the beauty breakdown. 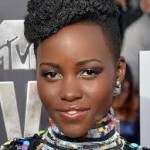 What do you think of Lupita Nyong’o’s makeup look at the Golden Globes?